Established in 1974, the Festival name has been a part of the North Shore for over three decades. Festival Services Corporation has become respected for its knowledge and implementation of Green ideas for new construction, remodeling, repair and restoration projects. We provide complete concrete construction services, asphalt paving & repairs, excavation, hauling, job-site services, landscaping, stormwater management, snow removal and water & sewer, all of our services are geared to assist you from the start to the completion of your projects. Festival Services Corporation is a residential and commercial contractor with a customer base covering the North Shore and Chicago-land areas. For over 35 years we have provided construction services for new construction, remodeling, repair and restoration projects, years of experience allow us to create a plan for each project that insures surprises are rare, being educated and prepared to deal with whatever we might find, makes a big difference, our careful planning and construction techniques, result in projects that are "greener", safer, last longer and save money in the long run. Let our experience and planning help get your job done, on time and on budget. Below is a partial list of services we provide, click on any link to access more information. 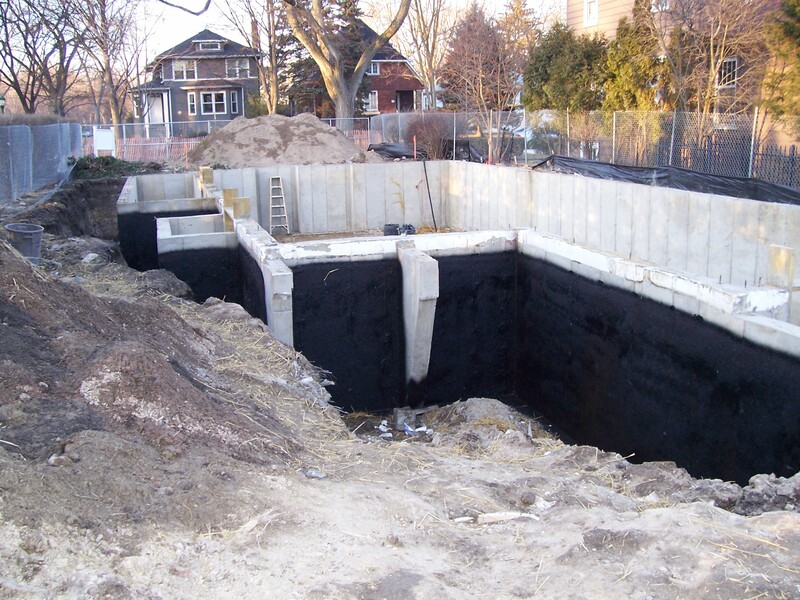 Festival Services installed this concrete foundation for a new home in Wilmette after completing site work, water & sewer disconnects, and excavation phases. we also provided the final grading, drainage, brick pavers and the landscaping for this project. 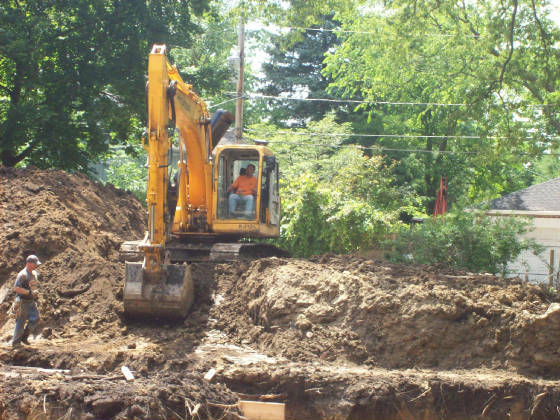 Excavation for this house was only one phase done by Festival Services Corp. for this project, site work, water and sewer and storm water installations, were also provided. For this new Wilmette home, Festival Services provided after construction job-site clean up, grading, drainage, landscaping, brick pavers and the white picket fence.